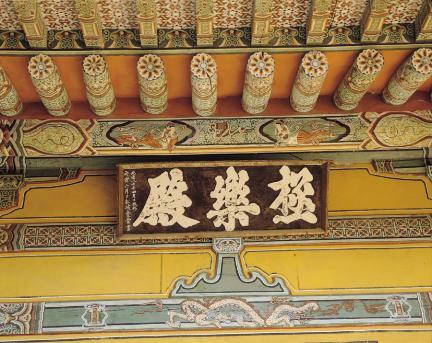 봉정사(鳳停寺)는 672년(신라 문무왕 12) 능인대사(能仁大師)에 의하여 창건되었다는 전설이 전하는데,등 발견된 구체적인 자료를 통해 보면 7세기 후반 능인대사에 의해 창건된 것으로 추정된다. 극락전은 원래 대장전이라고 불렀으나 뒤에 이름을 바꾸었다고 한다. 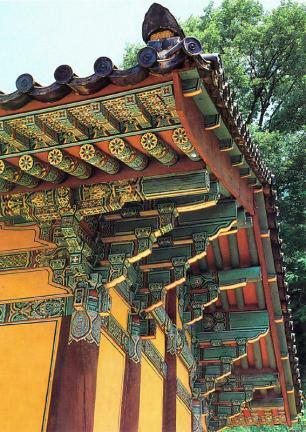 1972년 보수공사때 고려 공민왕 12년(1363)에 지붕을 크게 수리하였다는 기록이 담긴 상량문을 발견하였는데, 우리 전통 목조건물은 신축후 지붕을 크게 수리하기까지 통상적으로 100~150년이 지나야 하므로 건립연대를 1200년대 초로 추정할 수 있어 우리나라에서 가장 오래된 목조 건물로 보고 있다. 앞면 3칸·옆면 4칸 크기에, 지붕은 옆면에서 볼 때 사람 인(人)자 모양을 한 맞배지붕으로 꾸몄다. 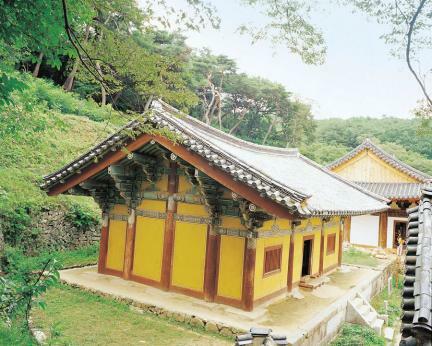 기둥은 배흘림 형태이며, 처마 내밀기를 길게하기 위해 기둥위에 올린 공포가 기둥 위에만 있는 주심포 양식이다. 건물 안쪽 가운데에는 불상을 모셔놓고 그 위로 불상을 더욱 엄숙하게 꾸미는 화려한 닫집을 만들었다. 또한 불상을 모신 불단의 옆면에는 고려 중기 도자기 무늬와 같은 덩굴무늬를 새겨 놓았다. 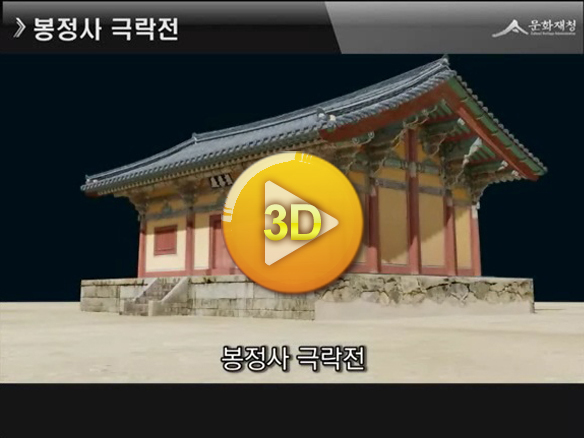 봉정사 극락전은 통일신라시대 건축양식을 본받고 있다. 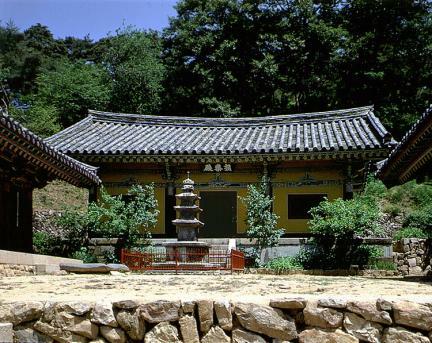 According to a sangnyangmun (message concerning a ridge beam raising ceremony) of Geungnakjeon Hall, Bongjeongsa Temple appears to have been built by Great Monk Neungin in the late 7th century while legend has it that the temple was built in 672. 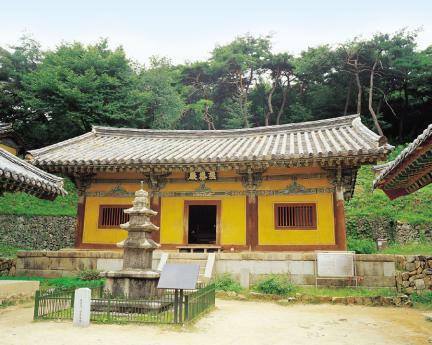 Geungnakjeon Hall, originally called Daejangjeon Hall, was the main hall of Bongjeongsa Temple. 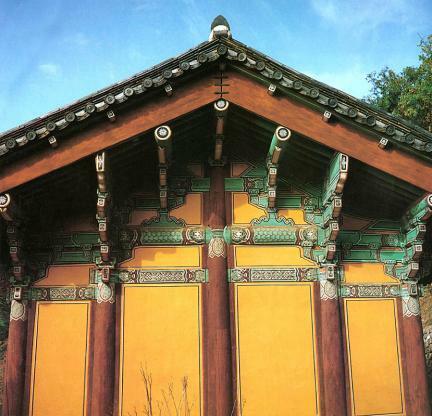 The sangnyangmun discovered during its reconstruction in 1972 states that the roof of this hall was repaired in 1363 (the 12th year of King Gongmin's reign in Goryeo Dynasty). 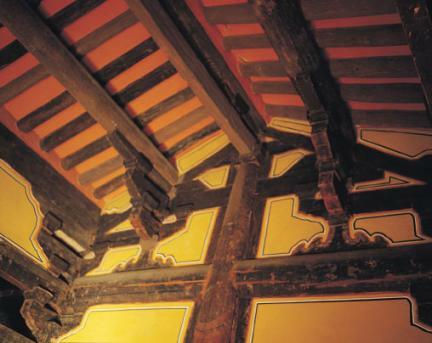 Considering the roofs of traditional Korean structures were usually repaired some 100-150 years after their construction, this hall dates back to the early 1200s and thus, is presumed to be the oldest wooden building remaining in Korea. 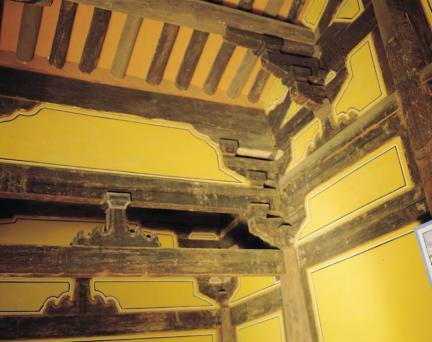 The hall measures three kan (a unit of measurement referring to the distance between two columns) at the front and four kan at the sides, and has a gabled roof supported by column brackets. 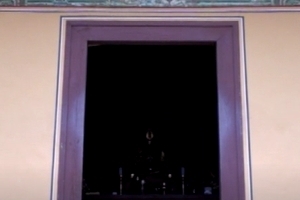 It has a door in the front middle compartment and windows on both sides. 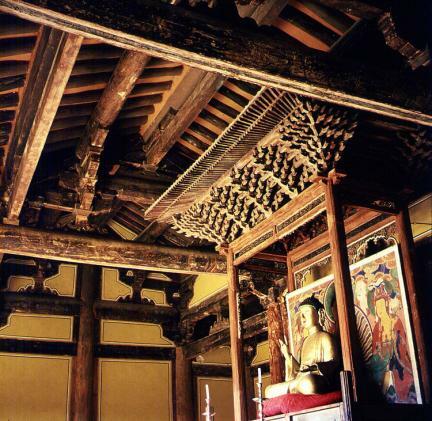 The interior of the hall, in which the Buddhist statue is placed, is decorated with an ornamental canopy, while the Buddhist altar is carved with a scroll design. 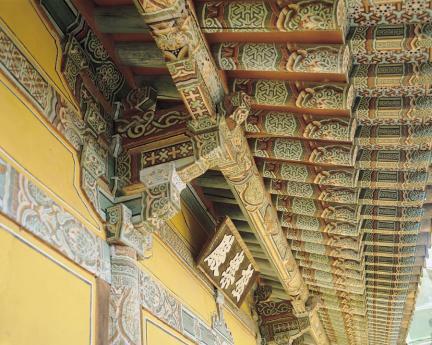 Though built during the Goryeo Period, the hall displays the influence of the architectural style of the early Unified Silla Period.